Remember that massive step forward from flip phones to iphones in 2007? Well, that same industry leap is happening all over again, but this time the game changer is Televisions. Really there are two main differences that need to be mentioned. First off, unlike smart phones, Televisions have come down in price (woo-hoo!) so they are more affordable than ever. Secondly, there are three big players in the television industry: LG, Sony, and Samsung. This tri-fecta is known as the "Big Three". Each brand offers models that raise the bar in certain areas. It’s pretty hard to buy anything short of a beautiful TV. But with our help you can focus in on your choice based on your particular room, your personal taste, and what you like to watch. Each brand offers models that excel in a certain area of expertise (e.g. "this ones great for the user interface" or "this one is great for spacious bright rooms") but which brand should I go with you ask? I mean, it would be pretty hard to buy a TV that wouldn’t satisfy your home audio/video needs from the Big Three, but ultimately it comes down to personal preference. You can hone in your choice based on what kind of media content you like to watch, what kind of room the TV will be displayed in as well as sheer aesthetics of the TV itself could be a huge deciding factor for you. And that’s what this is all about, our expert home video/audio team are picking the absolute best TV's for the top 6 consumer categories. 1. The Budget King of the World. This is rumour control, and here are the facts. 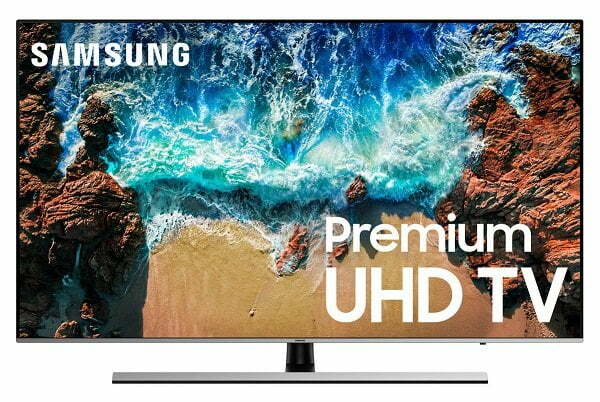 You can buy a brand new 2018 Samsung 49-inch 4K/HDR LED TV for less than a thousand bucks. But consider this, the 82-inch version of the same this is currently going for LESS than four thousand. Just to wrap your head around that a little better, please, go grab a measuring tape, pull out 82-inches and place it diagonally along your wall. One word... Wow. We would also like to mention the consolation prize for "Best Man Cave TV for the Money", because this 82-inch won that category as well, remotes down. Download Samsung's "Smart Things" app, and you can use your TV as a central hub to monitor all of your connected household devices. You can check on the baby, see what's in the fridge for your grocery list, get notified when the wash is done, even summon your own POWERbot robot vacuum to clean up. Next years models are anticipated to wash and fold your laundry as this rate. 2. The Most Beautiful TV to date. Yes, even when it's turned off. 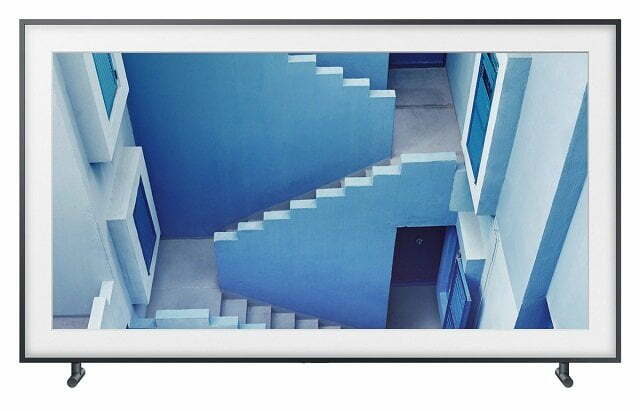 Introducing The Frame by Samsung. ​The Frame Television by Samsung does not just resemble real framed artwork, you literally wouldn’t be able to tell the difference. To accomplish this great feat The Frame televisions uses sensors to detect rays of ambient light, and then simultaneously adjusts the display to reflect what a real art piece would look like under these same conditions. The result is astonishing, fooling even seasoned artists from across the room. Bottom Line, this is no joke, we have reached new heights in our living rooms. You can choose one of three layout options: Shadow Box, Modern or No Matte. Select and fine art you'd like to display or even your own photos for those joyous family gatherings. Samsung even offers an art easel as an optional way to display your TV. Not to mention the color options for your frame, the default color being charcoal gray can be swapped out for dark walnut, beige wood, or white depending on your personal preference. 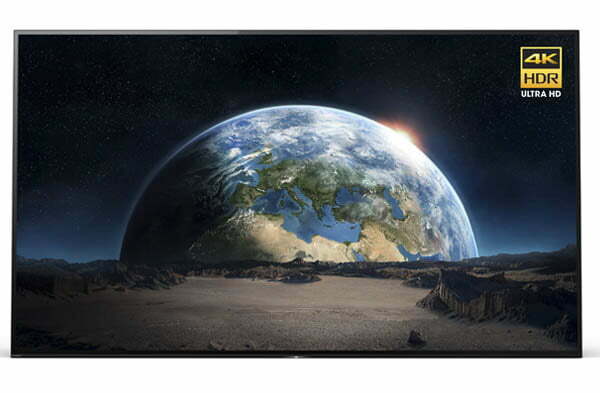 In regards to technical features, get ready to introduce yourself to over 1 billion colors, 4K UHD resolution, and a deeper High Dynamic Range (HDR) picture than most other TV's at this price point. Not to mention it comes with a quad-core processor for all of your apps, games, web browsing, screen-mirroring and voice control. For more info (like where do the wires go? ), check out our Youtube Video: "How To: Samsung The Frame Smart TV & Art Frame Unboxing, Installation and Setup" . ​Samsung’s No Gap Wall Mount (which is included with the purchase of the television) sits almost perfectly flush to the wall, hugging it just like a picture frame. (Our Installation experts say customers LOVE this). Even with the wall mount, the television does allow for slight tilting (downward, top to bottom, and 6 degrees left or right) for your viewing pleasure. For most us out there, basically this means that you can center the TV for house parties and gatherings, and once everyone has left, you can tilt it back to your favorite position in your favorite chair. LED Samsung televisions come with a separate media box, so all you DIYers out there can easily mount The Frame to your wall. The television, soundbar, etc... all plug into the central media box leaving your set up clean and crisp. What’s coming in this year? 2. 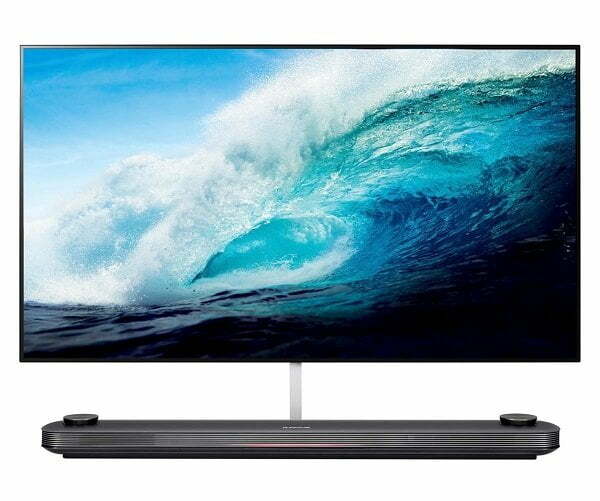 Intoducing the OLED C8. LG brings it with the OLED C8. Big Time. Sizes available: 55” • 65" • 77"
- Updated smart features. The C8 now features artificial intelligence built-in. With just a hit of a button on your remote, you can use voice commands to go from watching Arrow to Black Mirror, adjust the volume, and control smart home devices. OLED TVs look great from any angle, and this great buy from LG also lets you zoom in on scenes via the remote! 4. The Best TV for Sunny / Bright Rooms. The media loved Sony’s X900E series TV Televisions (last years models), with one negative comment: some found it too dim overall. So Sony went back the drawing board re-tooling for 2018, and this years X900F series = the change that we all wanted. The biggest change: Sony incorporated their X1E Extreme processor and maximized the overall brightness by a full 20% - and super high brightness levels are exactly what consumers need in sunny, well lit rooms. All 900F televisions are edge-lit, and Sony's version seems far superior to all competitor products on all other edge-lit LEDS. The main reason we chose the 900F for "Best TV for sunny / Bright Rooms": Sony's local dimming improvments as well as upscaling* technology. When we turned upscaling on, everything got significantly more brighter, vivid and sharper, making it a great choice for any bright room. - All Sony 900F televisions come with Googles Voice Assistant built in, as well as the Android Smart TV app. - The 900F has unusually big feet. Some may find them even a bit to much. However, the feet do leave room for a very nice addition of a sound bar. 4b. The Samsung Q Series QLED TVs. The worlds biggest television manufacturer, Samsung, is not one to rest on laurels. Case in point: The company's QLED televisions already are a major hit among consumers and a strong contender for "best" in several categories, got even better last year with Samsung's new Q series. 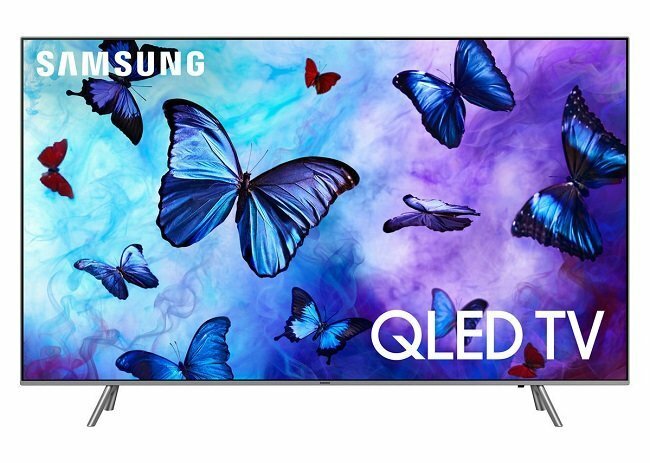 (QLED, not to be confused with OLED, means "Quantum Dots LED", a Samsung innovation that delivers a deeper High Dynamic Range picture than pretty much every other TV in the same price range.) The Q9FN is Samsung's flagship model, featuring over a billion shades of color and better black levels on an anti-glare screen. The truth: accurate, true-to-life color no matter how bright the room may be. Jack-up the brightness control in, say, a sunny southern-facing room...and the colors don’t wash out like they do on a more conventional TV. Instead, colors remain vibrant and still pop making it seem just like real life quality. The Q9FN has Samsung’s voice assistant technology, Bixby, built-in, so you can switch channels and search for shows simply by speaking to it. Had we included a "fit & Finish' category, Samsung would have taken that, too. The Q9FN is beautifully understated, thin (1.8 inches) with four bezel-less sides and a novel approach to the stand that makes the television seem to float in mid-air. What’s more, the Q9's cabling methodology is as clean as it is discreet and includes an external connection box that’s easily hidden away. 5. The "I can't believe its this thin!" TV. LQ OLED Wallpaper TV. Similar to hanging a 3mm decal. Sizes available: 65” • 77"
Like wow, you are sooo thin! Give it to the marketing folks, they got it right with the name. "Wallpaper TV". With its seamless thin profile (think sticker, or wall decal), The Wallpaper TV is an optical illusion sprung to life, literally appearing to be part of the wall when attached with its 4 small magnets. Bottom line: if you want stunning, jaw dropping make my home look like a modern art exhibit - you can not do any better than The Wallpaper TV. Add to its amazing design, the Wallpaper TV is a full-on 4K HDR OLED TV, which at 65 inches makes for a breathtaking picture, and no sacrificing function for form. The W8 model (which builds upon last years W7) features LG's latest and greatest A9 Processor, which means even better picture quality than ever before. So, if you’re in the market for a TV that doesn’t look like a TV, oh boy you are in luck, because this is the one you want. 6. The Best Sounding TV (Right out of the Box). Sony XBR-A1E Series, which brings the magic with another industry first. Any time Sony adds that "XBR' prefix to one of their televisions, heads turn as the industry takes notes. And though the XBR A1E wins our "best sounding out of the box" award, although we should note many respected tech review sites put the XBR-A1E at the very top of their "best picture" list. 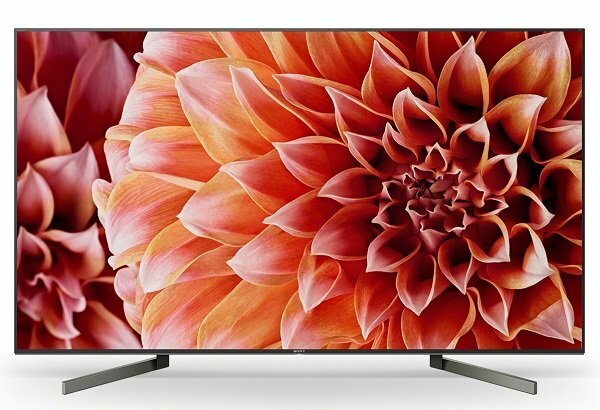 The XBR-A1E is part of Sony's Bravia line, and it comes with all the same bells and whistles, with a few more additions including the biggest of all: OLED. You can read all about 4K X-Reality PRO, Sony’s amazing picture processing tech, or how Sony takes HDR to new levels. But we are here because of sound, so let's talk sound. Truth be told the speakers that came in our 1990s box tube sets and consoles were better because they were bigger. You can’t really fit a decent speaker inside the incredibly slim OLED TV, aka a pane of glass. Sony did just that though, by turning the entire picture screen into an acoustic surface, so the entire screen - whether 55", 65" or 77 inches - IS the speaker. And surprise: it packs a heavy punch, and it sounds awesome. Does it replace real theater surround sound? No. Is it better than a high-end soundbar? Not quite. But if you are really pressed for space and have no room for extra gear or speakers, boom, the Sony XBR-A1E wins. We gave ourselves one rule: we wouldn’t say any one TV is “the” best TV of all. But if pressed and asked “which TV would we take home for ourselves?,” it might just be this one for the great OLED picture and sound. 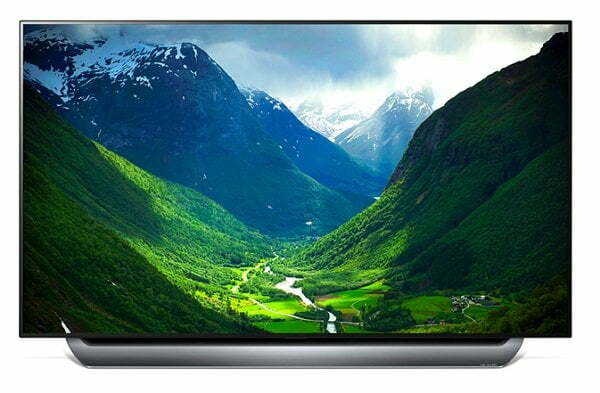 No, the Sony A1E can’t morph into a gorgeous framed painting or photo like Samsung’s Frame TV, and no, it can’t match LG’s knock-your-socks-off, coolest design Wallpaper TV, but in every other respect… Sony’s A1E rocks. How do you outdo greatness? Sony is trying to figure that out, too... and so are we. Although the A1E remains a Sony flagship television, they released an alternative model this year: the Bravia A8F (available in 55" / 65"). All of the technology will be exactly the same, but will come in at a lower price point... with a few differences: a new stand and mounting arrangement, meaning it will take up less depth when placed on top of a TV cabinet and rest closer to the wall when mounted. Once you pick out the television that you want, one word of advice. Buy it from a trusted, authorized dealer. The more experience / longer track record the better. A good dealer will take care of you in the event anything happens.